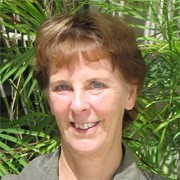 Susan Randolph is Associate Professor Emerita in the Department of Economics at the University of Connecticut (UConn) where she also served as a faculty affiliate of the Human Rights Institute (HRI), El Instituto: Institute of Latina/o, Caribbean, and Latin American Studies, the India Studies Program, and the Asian and Asian American Studies Institutes at UConn. Dr. Randolph is the Co-founder of the Human Rights Measurement Initiative (HRMI), https://humanrightsmeasurement.org , the Co-Director of the Economic and Social Rights Empowerment Initiative (ESREI), www.serfindex.org, the Co-Chair of Uconn Human Rights Institutes’s Economic and Social Rights Research Program and currently serves on the Gladstein Committee of the HRI. Dr. Randolph has served as a short-term consultant to the Office of the High Commission on Human Rights, The World Bank and the United States Agency for International Development. Prior to coming to UConn, she worked for four years as head of the Program Development division with Turkiye Kalkinma Vakfi, a grassroots development organization that enables poor, landless households to establish viable, self-sustaining economic enterprises. Dr. Randolph’s research has focused on a broad range of issues in development economics, including poverty, inequality, food security, and economic and social rights, at both the country and regional levels and has been published in numerous refereed multidisciplinary as well as economic journals. One stream of her work has emphasized measurement while other streams have emphasized development policy. Her work on marginal malnutrition and food security has focused on Mexico, Senegal, and India, while her other work on development policy has been focused cross-nationally as well as on Malaysia, Sudan, Bangladesh, Mexico, Egypt, Nepal, and Indonesia. Dr. Randolph’s most recent book Fulfilling Social and Economic Rights co-authored with Sakiko Fukuda-Parr and Terra Lawson-Remer (Oxford University Press) is the winner of the Human Rights Section of the American Political Society Association’s 2016 best book award and the winner of the 2019 Grawemeyer Award for World Order. Dr. Randolph received her BA in Political Science from the University of Oregon and her MA and PhD in economics from Cornell University. “Does Constitutionalizing Economic and Social Rights Promote their Fulfillment?” (with Elizabeth Kaletski, Lanse Minkler, and Nishith Prakash), Journal of Human Rights, Vol. 15, No. 4 (2016), pp.433-453. “The Right to Food: A Global Perspective” (with Shareen Hertel). In Sakiko Fukuda-Parr and Viviene Taylor, eds. Food Security in South Africa. (Capetown, South Africa: Capetown University Press,2016). “Making the Principle of Progressive Realization Operational – The SERF Index, and Index for Monitoring State Fulfillment of Economic and Social Rights Obligations” (with Sakiko Fukuda-Parr and Terra Lawson-Remer) pp.239-264 in LaDawn Haglund & Robin Strykler, eds., Closing the Rights Gap: From Human Rights to Social Transformation, University of California Press, 2015. “Measuring Fulfillment—The Challenge of Ensuring Food Security: Global Perspectives and Evidence from India” (with Shareen Hertel) pp. 171-198 in LaDawn Haglund & Robin Strykler, eds., Closing the Rights Gap:From Human Rights to Social Transformation, University of California Press, 2015. Fulling social and Economic Rights (with Sakiko Fukuda-Parr and Terra Lawson-Remer). Oxford University Press, 2015. “Bringing Theory into Practice: Framework and Criteria for Assessing Implementation of the International Right to Development,”The Right to Development in Practice: Studies for the Twenty-fifth Anniversary of the Declaration, UN Office of the High Commissioner for Human Rights (2013) forthcoming (with Maria Green). “Tracking the Historical Evolution of States’ Compliance with their Economic and Social Rights Obligations of Results,”Nordic Journal of Human Rights (2013:Vol 30, pp 297-323) Patrick Guyer. “The Right to Food: A Global Overview,”in Lanse Minkler (ed. ), The State of Economic and Social Rights (2013) Cambridge University Press( Cambridge, MA). “Economic and Social Rights in the Land of Plenty: Monitoring State Fulfillment of Economic and Social Rights Obligations in the United States,”Human Rights Review (2012:Vol 13, pp 139-165), Michelle Prairie and John Stewart. “Assessing State Compliance with obligations to Fulfill Economic and Social Rights – A Methodology and Application to the States of Brazil,”Direito ao Desenvolviment (Right to Development) (2010), 425-462 (with Sakiko Fukuda-Parr, Patrick Guyer, Terra Lawson-Remer, and Louise Moreira). “Economic and Social Rights Fulfillment Index: Country Scores and Rankings,”Journal of Human Rights (2010) 9(3), 230-261 (with Sakiko Fukuda-Parr and Terra Lawson-Remer). “Measuring the Progressive Realization of Human Rights Obligations: An Index of Economic and Social Rights Fulfillment,”Journal of Human Rights (2009) 8(3), 195-221 (with Sakiko Fukuda-Parr and Terra Lawson-Remer).